In eager anticipation of your next cruise, you've logged into Norwegian Cruise Line's online cruise planner, and you're greeted by words in big bold letters: "LET'S GET YOU UPGRADED!" Those first four words grab your attention with a promise of a better cabin than the one you've already booked. Then your eyes move on to the words "Submit an Offer ... " and you realize that you'll have to shell out some money for that upgrade. The big question is, should you submit an offer to upgrade your stateroom, and then ask yourself a second question - is it worth it? Norwegian's Upgrade Advantage guest bidding process is simple. 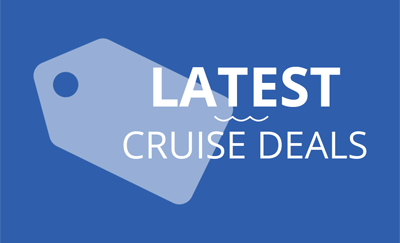 Click the offer link, view the cabin categories available for upgrade, the minimum and maximum bids, and place a bid on one or more categories. As long as your bid has not yet been accepted, you can change or remove it any time. If NCL accepts your bid, the upgraded cabin becomes yours, and your credit card charged immediately. There is no changing your mind, it's non-refundable, and you can't pick the cabin location. In other words, you'll take what they give you. If your bid is not accepted, then you lose nothing and you retain your current cabin. So, how do you decide what amount to bid? First, go to the NCL website and pretend to book the same cruise and cabin you want. What is the current per person price? Then, look at the bidding price for that cabin in your cruise planner. If you really, really want that mini-suite, is your bid going to cost more than what it would cost to buy that cabin outright? The dollar amount slider will indicate your chances of winning, "poor" up to "excellent". Surprisingly, the one time I bid on the next class up, from balcony to mini, I won with the lowest possible bid. Unfortunately, I can't tell you exactly what cabin we wound up with because we had to cancel the cruise. Keep in mind that you are bidding on a class of cabin. So, if you're looking to move up from an ocean-view to a balcony, you could win a balcony cabin in anycategory of that class - even an obstructed cabin. Also remember that you may have chosen your existing cabin based on a great location - for us that means mid-ship with easy access to everything on board. Your upgraded cabin could be anywhere - first cabin forward, last cabin aft, under a noisy club or any one of a number of unfavorable locations. Your upgraded cabin could end up feeling like a downgrade. The most likely factor in deciding which bids are accepted and for how much may very well be how certain categories are or aren't selling and how much space they need to fill before the ship sails. Should you bid: Are you perfectly happy with your present cabin? Probably not. If you are aren't fussy about cabin location or absolutely would love THE HAVEN, and don't mind spending the extra money, sure, give it a go. How much should you bid? What can you afford and will you be getting a better cabin for what you're willing to bid? For more information about the bidding process, see Norwegian's Upgrade Advantage FAQ.